Capt. 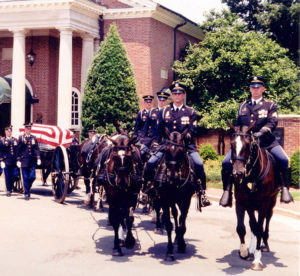 Larry Thorne, missing in action for decades, was given full honors and laid to rest at Arlington National Cemetery June 26, 2003. Thorne is a national hero in his birth country of Finland and a military hero in the country for which he swore allegiance and laid down his life–the United States. USASAC employee Andy Hollingsworth was instrumental in bringing one of the Green Beret’s most legendary soldiers home. Andy Hollingsworth, an operations specialist with U.S. Africa Command/ European Command Regional Operations, was a young Army captain on a joint task force recovery team that discovered Thorne’s remains at a crash site deep in the mountains of Vietnam in the summer of 1999. 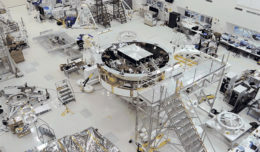 These and other feats made Thorne a military legend long before he became a political refugee, jumping overboard from a cargo ship in the Gulf of Mexico near Mobile and eventually joining the Army. Thorne enlisted in 1954 as a private, although he’d spent six years fighting World War II as an officer in two different military commands. 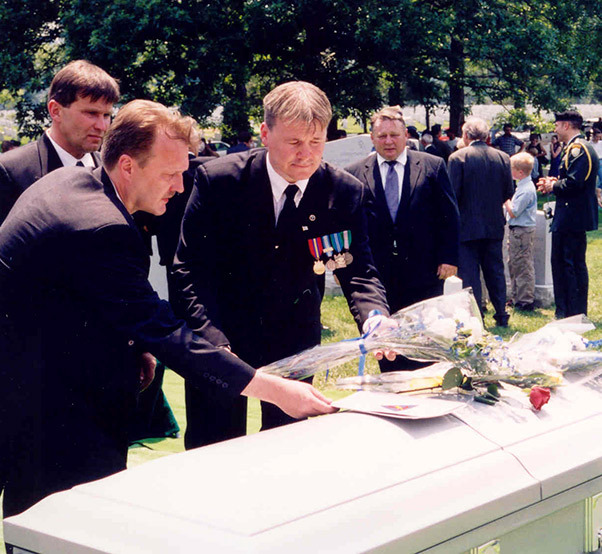 Friends, family and international officials gathered June 26, 2003, to lay Capt. Larry Thorne, missing in action for decades, to rest at Arlington National Cemetery. One of Thorne’s crowning achievements was during the 1950s when he led a covert mission into the Iran to recover bodies and classified data from a C-130 transport plane that had gone down in the country’s largest mountain range. Three missions had attempted to get to the crash site and failed, so Thorne parachuted in, made his way up 14,000-feet deep in enemy territory, recover the data and snuck out undetected. Although his chopper crashed and he was listed MIA for over three decades, the mission was a success: his men called in 51 air strikes to disrupt the Ho Chi Minh Trail supply stations and made it out alive. Today, Thorne is interred at Arlington National Cemetery. He was posthumously promoted to major and is the only American POW/MIA to fight communism under three flags — Finland, Germany and America. The Larry Thorne Headquarter Building for the 10th Special Forces Group at Fort Carson, Colo., is named in his honor; several books and movie characters proclaim his feats. Hollingsworth called Thorne a true patriot and said it was one of his deepest honors to serve on Joint Task Force Full Accounting — congressionally mandated to achieve the fullest possible accounting of U.S. troops who didn’t from the war in Southwest Asia. JTFFA consisted of investigators, linguists, military specialists, DOD civilians, anthropologists and forensic archeologists. “Being assigned to JTFFA was an opportunity to serve my country and bring our guys home,” said Hollingsworth, who spent 23 years on active duty. “I had no idea the organization even existed but it appealed to me because of the travel and negotiations with communist officials as the sole U.S. military presence in the country outside the embassy,” Hollingsworth said. “To negotiate with senior Vietnamese colonels about sites, cost to the U.S. government, and to brief U.S. Embassy officials on my teams’ presence, as a captain, was pretty exciting. “Anytime you can bring a service member home and give families closure, there’s nothing better,” said Hollingsworth, who recalled the look on families faces when they get the news.